Collection of (the late) Paul Walter, New York. Probably acquired by Walter in the UK. 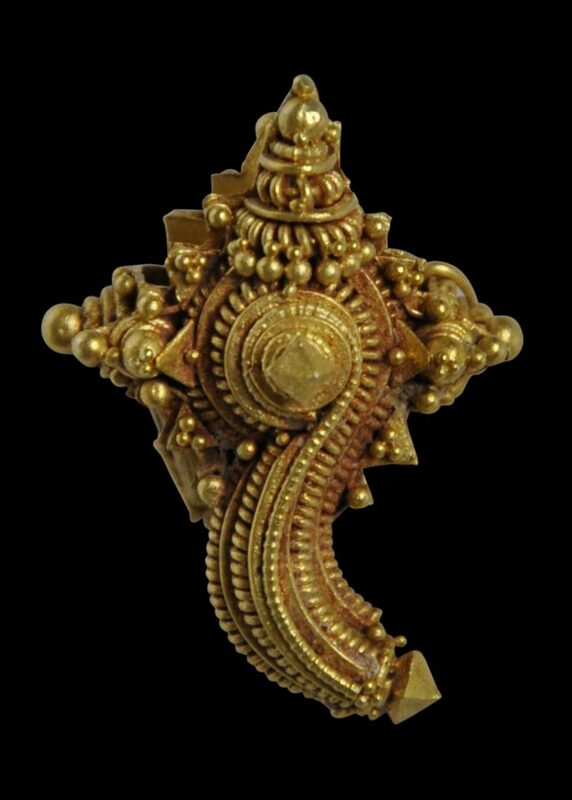 This very fine example of a conch (shankha) ornament is of solid gold. It has been cast and further decorated with exceptionally fine gold bead applique work. 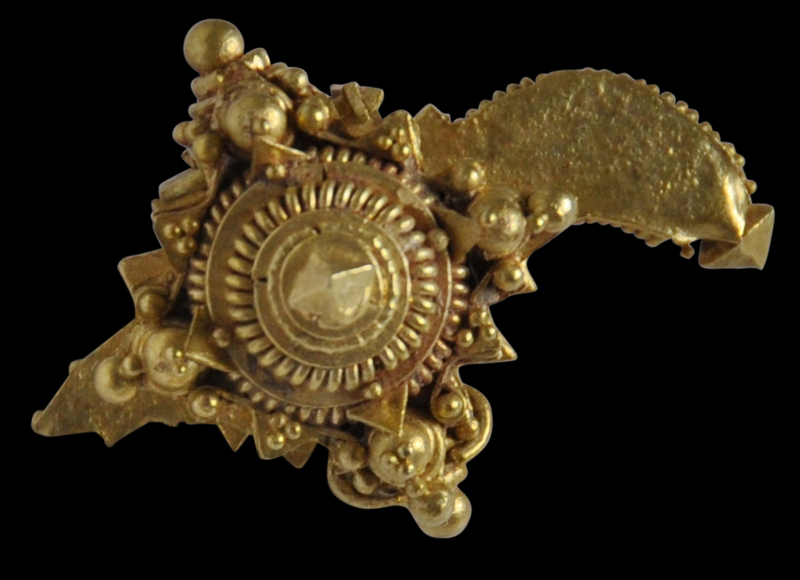 The ornament comprises a conch emblem, two highly decorated hinged sides, a decorated backing plate shaped as a discus, and a hinge mechanism which still works very well, allowing the ornament to open and close. It is not clear what these ornaments were used for exactly. 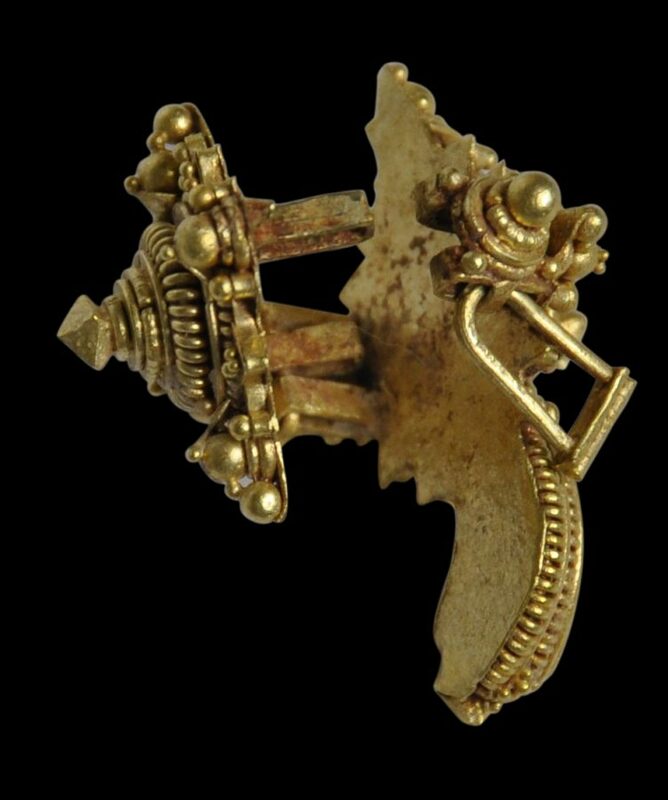 Possibly they served as ear ornaments, or perhaps were used to decorate the hair. 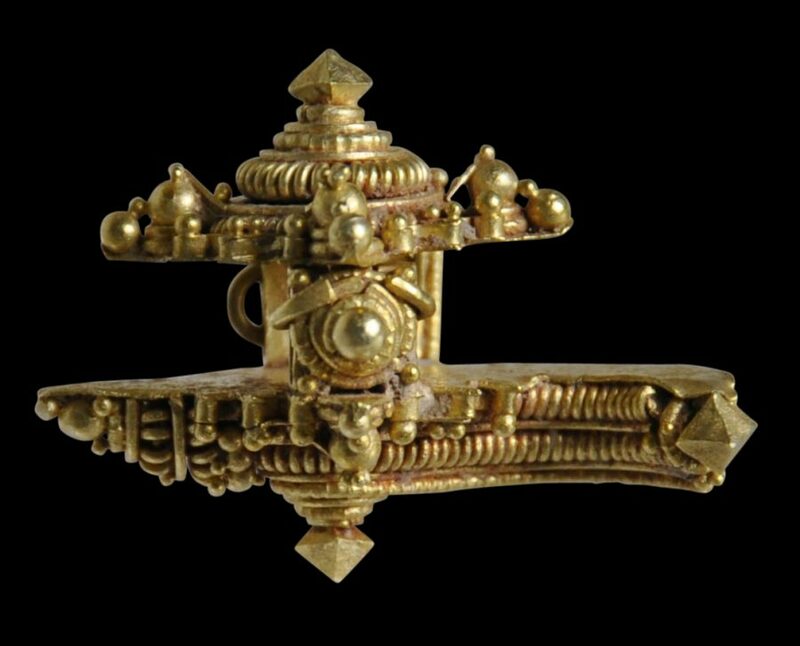 Sometimes they are described as finials for sashes and waist cords. 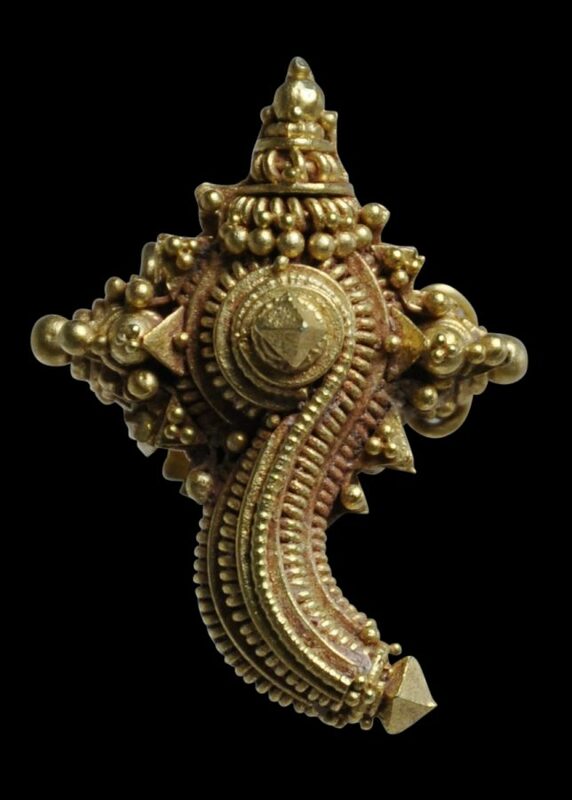 The conch and the discus are emblems of Vishnu, among the most auspicious of the Hindu deities. Related examples are illustrated in Lunsingh Scheurleer (2012, p. 104-5) and Miksic (1990, p. 114). The example here is exceptionally well made. 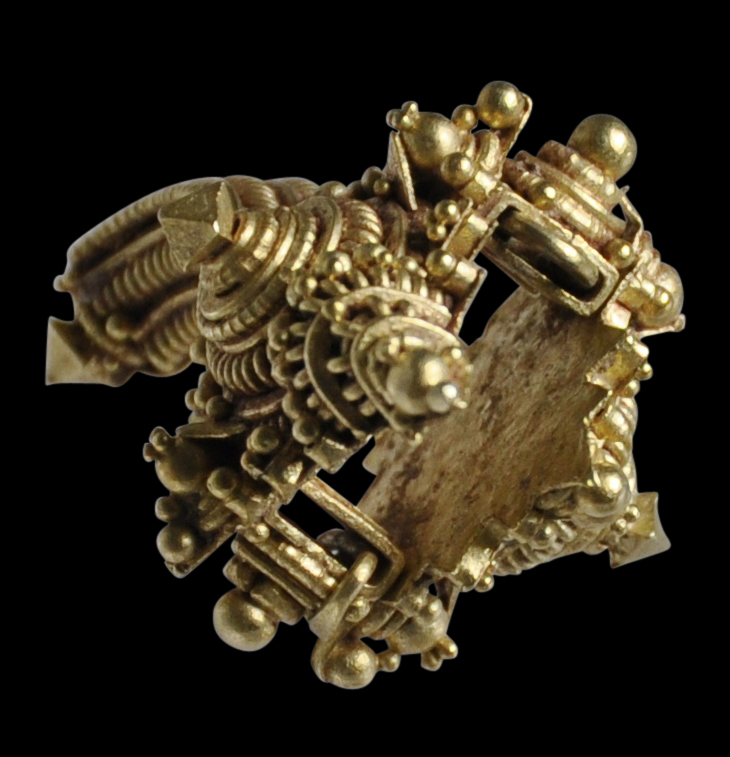 There is little sign of soldering with regards to how the tiny spheres and filigree have been applied to the surface – a sign of excellent gold-smithing skill, and something rarely replicated today. Tiny traces of soil are evidence that the ornament was at some time buried. This example is among the best of its type that we have seen. Lunsingh Scheurleer, P., Gold from Java/Goud uit Java, Gemeentemuseum Den Haag/W Books, 2012. 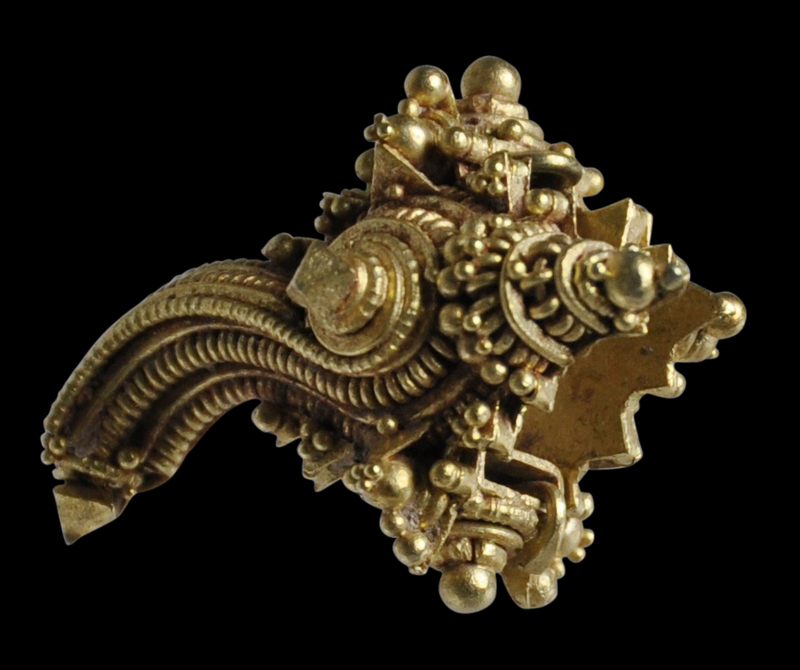 Miksic, J., Old Javanese Gold, Ideation, 1990.